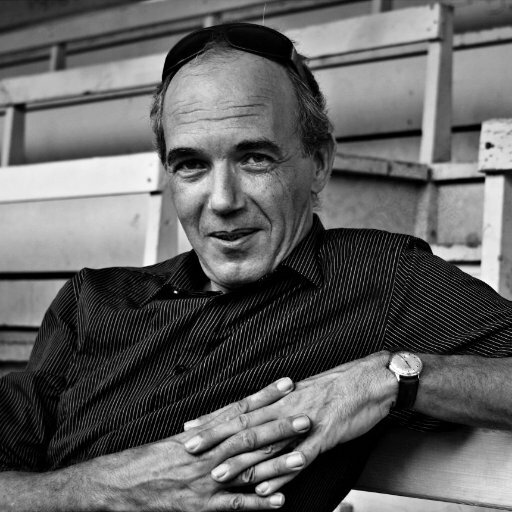 Dutch journalist Okke Ornstein who is jailed in Panama on charges of criminal defamation will be released by the Panamanian president in the midst of an international campaign for his release, according to his supporters. Ornstein is on a list from the Ministry of Government of persons to receive a reduction of sentence from the President of Panama in the coming days. However, the announcement does not provide further details. “Effectively, it is a ‘complete’ reduction of sentence, that is to say for the rest of the sentence that remains, meaning for the 19 months that remain, since he was already in the penitentiary for a month,” Ornstein’s attorney Manuel Succari told the Knight Center. Ornstein was detained on Nov. 15, 2016 in the Panama City airport after returning from the Netherlands. The arrest and jailing is related to a 2012 criminal defamation conviction in connection with a complaint from Canadian businessman Monte Friesner. It came with 20 months in prison. On his blog, Bananama Republic, the journalist had published articles about allegedly illegal practices by a company in Panama that Freisner had created, according to a previous article from Reporters Without Borders (RSF). An appeal of this sentence was upheld in 2015. Ornstein and his family have criticized the defense lawyer formerly assigned to him, RSF reported. The organization also said his family has criticized the lack of cooperation and information from Panamanian judicial authorities following the arrest. According to a site created to push for Ornstein’s release, the journalist also is facing a conviction in a lawsuit filed by Dutch businessman Patrick Visser, as well as three other charges in Panama. Ornstein has been a correspondent for more than 20 years and has worked in TV, radio, print and digital media, according to his personal site. He moved to Panama in 2000 for a TV report and later made the country “his base,” the site says. His work has been in Panamanian and other international media outlets. Kimberlyn David and Esther Ornstein, partner and daughter of Okke Ornstein, respectively, emailed supporters on Dec. 20 announcing Ornstein’s upcoming release. The email cited an announcement from the Panamanian Ministry of Government, which listed Ornstein as one of 313 imprisoned persons to receive a reduction of sentence. This action comes from the President of the Republic with the participation of the Ministry of Government, according to the release. The email from David and Esther Ornstein said Okke would be absolved of the “crimes against honors” conviction against him. “While Monte Friesner’s lawsuit against Okke should never have gotten this far to begin with, we’re of course relieved that the pardon will free Okke,” the email read. They added that Ornstein will take his case to the Inter-American Court of Human Rights. Various international freedom of expression and human rights organizations have called for his release, including Reporters Without Borders, Committee to Protect Journalists (CPJ), International Federation of Journalists, Transparency International, International Press Institute and Article 19. Ornstein is one of four journalists jailed in Latin America, according to a recent yearly report by CPJ.